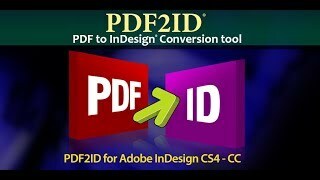 PDF2ID 2018 converts PDF files back to Adobe® InDesign® CC 2018 type. 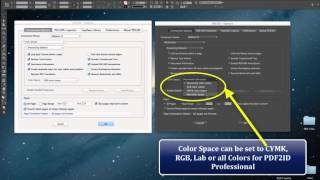 Watch how easy it is to use this handy software which is useful for Graphic Designers, Creative Professionals and Printers. 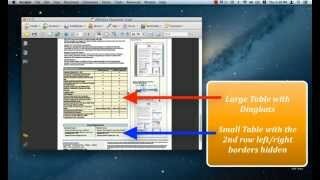 To Convert PDF files all you do is: 1. 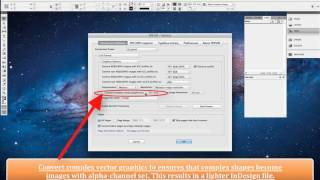 Select the PDF files to Convert to InDesign (indd type) . 2. 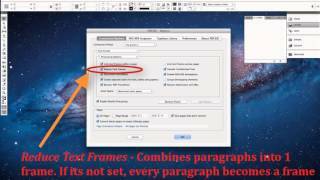 Click OK The files are immediately converted with the layout preserved and many elements editable. 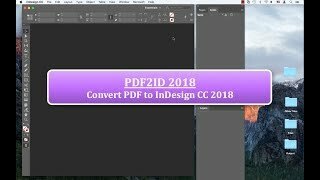 So, you can open, edit and convert PDF to InDesign CC using PDF2ID 2018. Thank you for viewing this video tutorial. 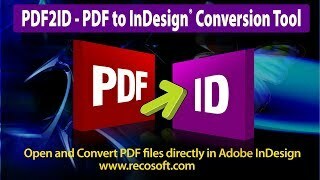 In this tutorial we want to show how to convert PDF files back to Adobe InDesign CC 2018 files using PDF2ID 2018; the latest version of the PDF-to-InDesign software from Recosoft. 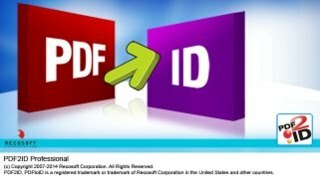 PDF2ID 2018 now supports Adobe® InDesign® CC 2018 (in addition to supporting InDesign CC through CC 2017) and is the best tool available to convert PDF files to InDesign automatically. 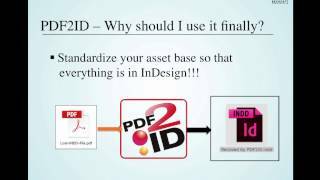 PDF2ID is an extremely handy piece of software for graphic designers, creative professionals, pre-press staff and printers when you just need to recover data in PDF files to InDesign. 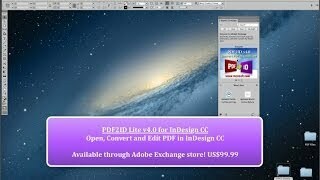 Here I have InDesign CC 2018 running and I’ve also installed PDF2ID 2018. 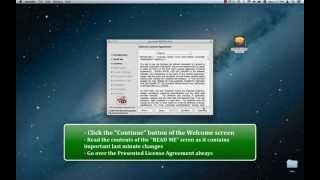 I’m doing this on a Mac but PDF2ID runs on Windows also. 1. 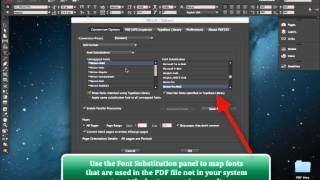 Click the Recosoft menu in InDesign CC 2018. 2. 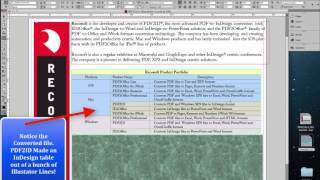 Then select the PDF2ID – Convert PDF/XPS file menu command. 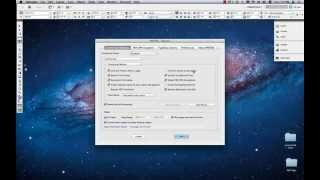 PDF2ID then presents a window, which allows you to select PDF files to convert to InDesign. 3. 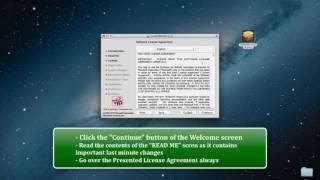 Select the PDF files to convert and Click OK (I selected 3 files for this demonstration). Now, the main PDF2ID – Options window appears. 4. 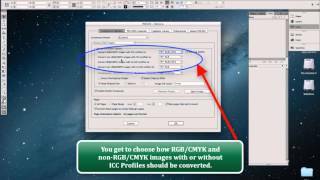 Finally, Lets click OK to convert the selected PDF files at once to InDesign CC 2018 type. 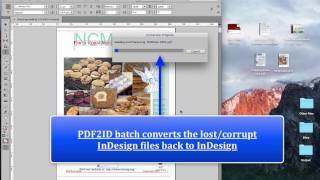 Watch how PDF2ID 2018 quickly convert multiple PDF and Illustrator files to InDesign (INDD) files. The conversion is complete and if you check the resulting files you appreciate how well the layout has been fully re-built along with all text, images and graphics well preserved. 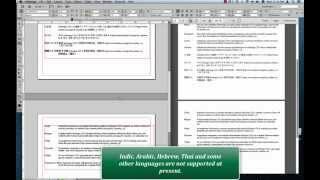 PDF2ID creates InDesign files from PDFs. 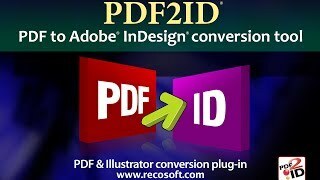 Once PDF2ID converts a PDF or Illustrator file it ensures that all of your images are bundled together. So for every converted file a separate folder is created with all of the images stored in sub-folders and linked back. 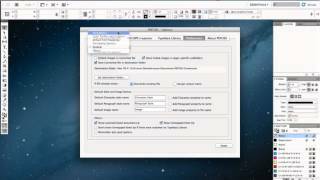 So, PDF2ID 2018 supports InDesign CC, CC 2014, CC 2015, CC 2017 and CC 2018 on both Mac and Windows allowing anyone to convert PDF to InDesign and edit the contents of a PDF or Illustrator file in InDesign.